All windows aren’t created square. If you want a perfectly-fitting shutter for a curved window, you’ve come to the right place. 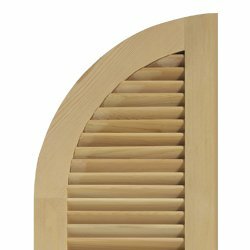 We have plenty of radius-top shutters with customization options specifically for arched windows, including sunburst louvers, curved panels, and horizontal louvers. 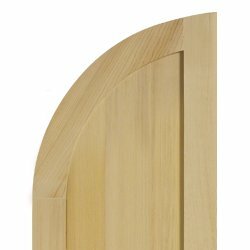 Many of these designs, especially the sunburst louver, require precise skill and can be time-consuming to build, but our master craftsmen are more than up to the task. 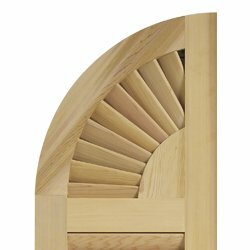 Radius-top shutters prove a special measuring challenge. If you have arched windows, please take a peek at our Shutter Measuring Guide for help with proper measurements. 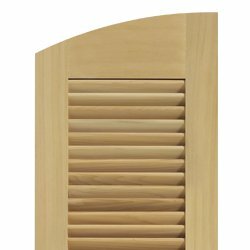 Timberlane can create any style of shutter with just a little help from you. 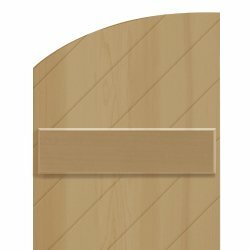 Once you have decided on ordering a radius top, call 1-800-250-2221 to talk about getting started on your upcoming project.